The latest entry level DSLR camera from Nikon is called Nikon D3100. 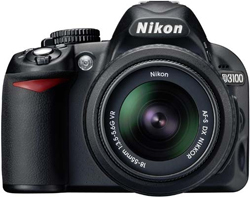 This Nikon DSLR has over 14 megapixels and the ability to autofocus while recording HD movies. Let us hear what Photography Blog thinks about the Nikon D3100. Photography Blog ends up giving the Nikon D3100 a “Highly Recommended” rating with an overall score of 4.5 stars out of 5 possible. The Nikon scores highest on image quality and ease of use, a little lower on value for your money and features while it scores lowest on design. The D3100 seems like an excellent entry level DSLR especially when you look at the image quality. If image quality is your most important aspect and you are on a budget this DSLR might be your choice. Read the full review of the Nikon D3100 DSLR camera here. 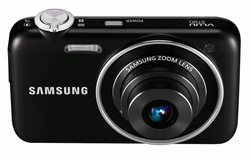 About.com has reviewed a digital camera from Samsung. The Samsung camera is called Samsung ST80 and some interesting features like wireless connectivity and a sensor with over 14 megapixels. About.com ends up giving the Samsung ST80 an overall score of 3 out of 5 possible stars. On the positive side we find aspects such as touchscreen on a budget camera (usually found on more expensive models), good camera performance when photographing outdoors and thin size. On the negative side the reviewer finds a few points like not much of a zoom range and lens moves slowly, poor indoor photography, the touchscreen can be hard to use and you have to charge the batteries within the camera. Read the full review of the Samsung ST80 digital camera with Wi-Fi here. 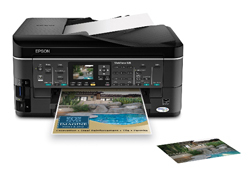 Printer Comparison has reviewed an All-in-One inkjet printer from Epson. The Epson printer is called Epson WorkForce 635 and is able to print, scan, copy and fax. In addition it has a 2.5″ LCD screen and a built-in card reader. Printer Comparison ends up giving the Epson WorkForce 635 a very good score with an overall rating of 4.5 stars out of 5 possible. The review finds several positive points with the printer including quick print speeds, easy setup and navigation and high capacity ink cartridges. There is some negative points too like that the draft mode is pretty average and the USB port has limited usability. Over the 635 is a good multifunction printer. Read the full review of the Epson WorkForce 635 color inkjet All-in-One printer here. About.com has tested a beginner level camera from Kodak. The camera is called Kodak EasyShare M590 and features like a button that lets you automatically upload your photos to social networks (Facebook, Flickr, Orkut, etc). About.com ends up giving the Kodak EasyShare M590 a total score of 3 out of 5 possible stars. On the positive side reviewer finds the M590 to have nice image quality for its class, good button design, enjoyable body design and the LCD screen is good. On the negative side we find aspects such as slow autofocus, poor flash, slow menu system and small LCD screen. If the camera had been a bit faster to use it would have get a higher score. Let us hope Kodak works on this for their next camera in this series. 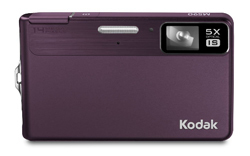 Read the full review of the Kodak EasyShare M590 beginner-level camera here.